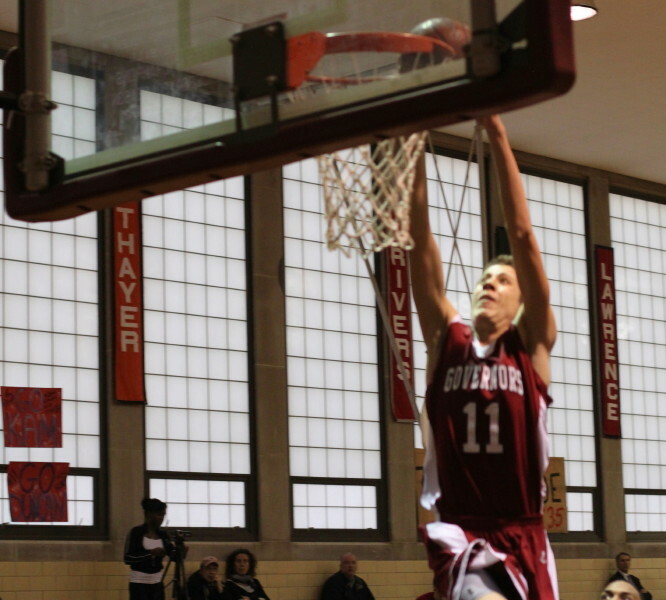 Duncan Robinson poured 32 points on Kents Hill including this early jam. 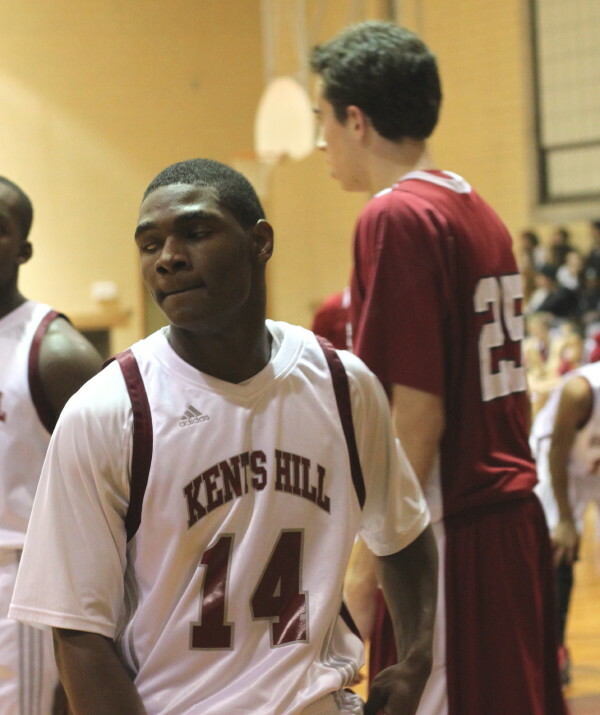 Eli Roberts had nineteen points for overmatched Kents Hill. 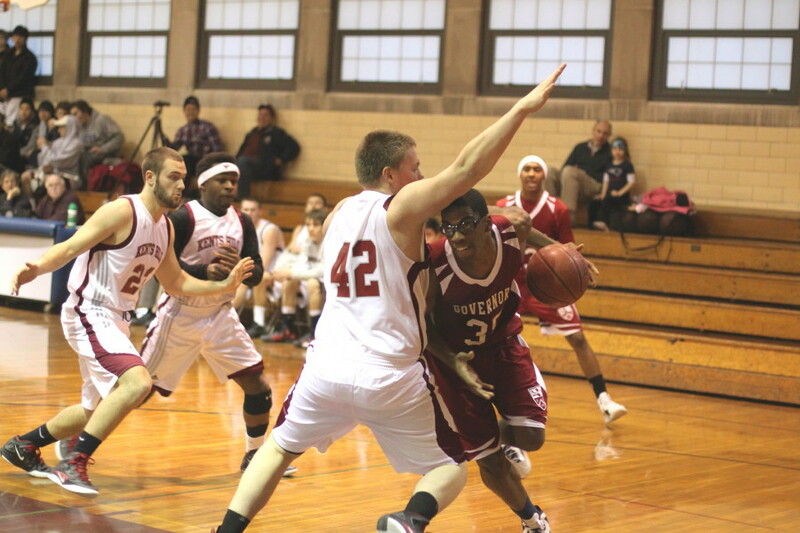 (Byfield) When a private school in Class C plays against a bigger Class B school, you can get a mismatch. 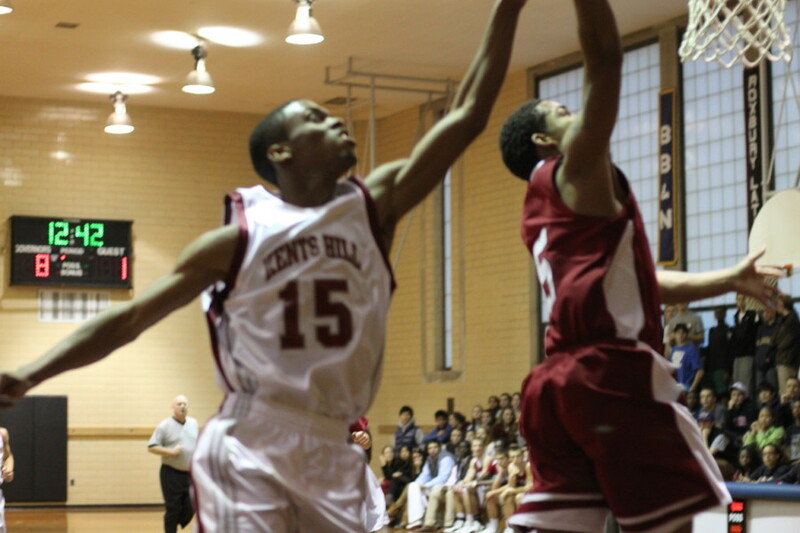 Such was the case as Governor’s Academy (9-3) crushed Kent’s Hill (Maine), 82-40, on Wednesday afternoon. 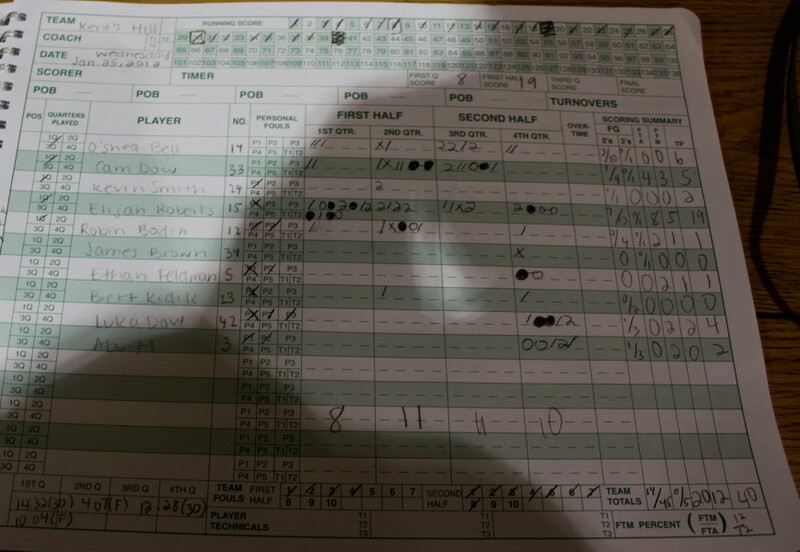 The vastly undersized Huskies (3-5) had multiple shots maybe two or three times during the entire game. Meanwhile, the Govs’ eyes lit up as they got to shoot against a zone defense for the full thirty-two minutes……and did they shoot! How does connecting on eleven 3’s sound? Duncan Robinson (32 points) scored from just about everywhere and made it look easy. 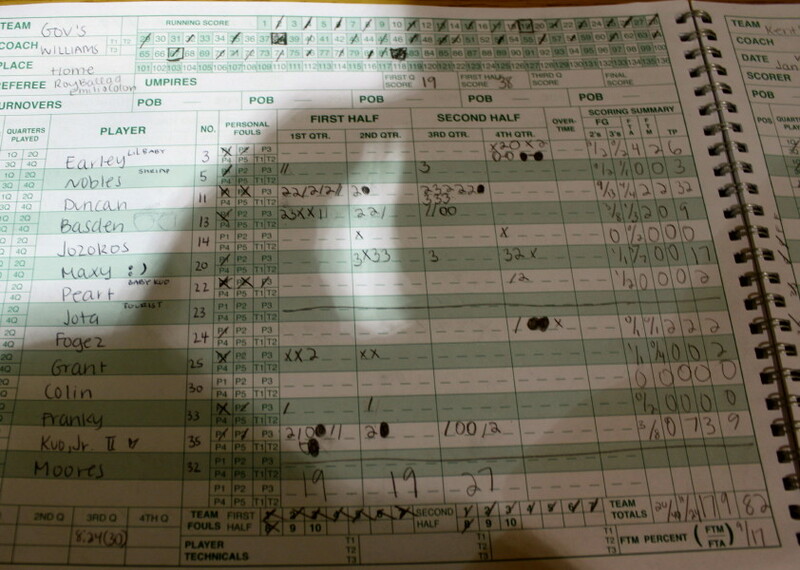 The 6-6 senior had dunks, jumpers, layups, and 3’s. The only missing piece was free throws because there just wasn’t enough Huskie defense when the Gov starters were in. Seldom seen Max George (17 points) connected on five triples. 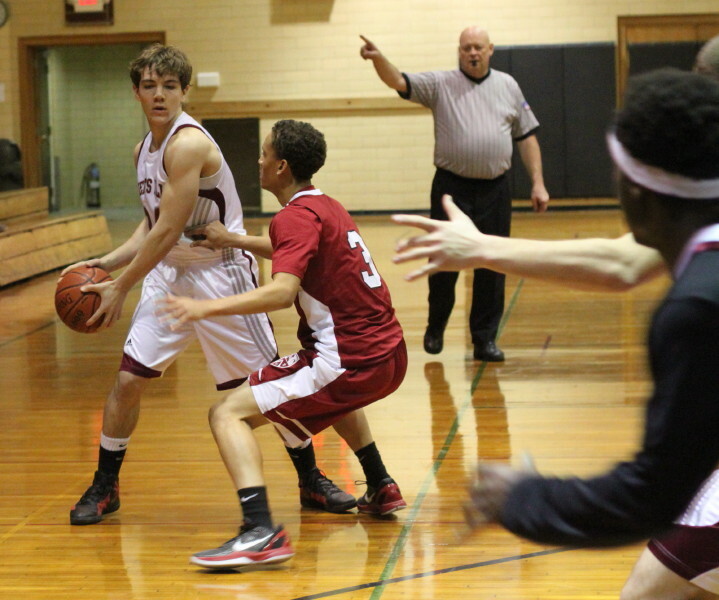 Stephen Basden had nine points and five assists. 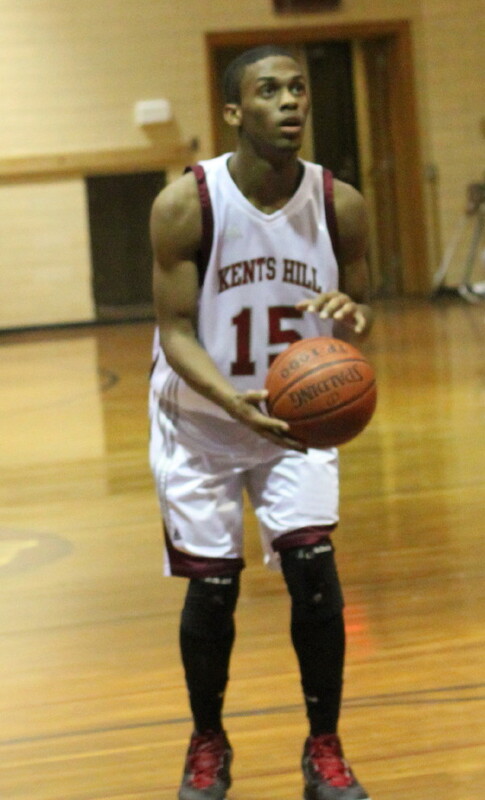 Eli Roberts paced the Huskies with nineteen points. 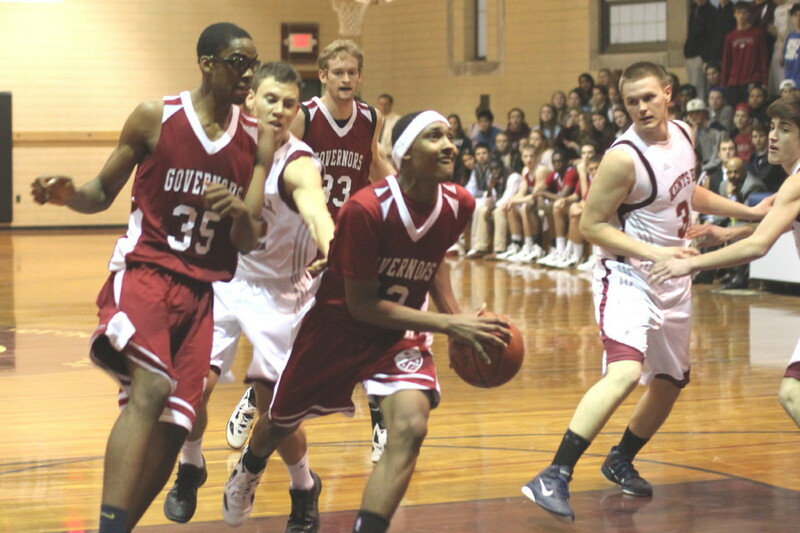 The Govs jumped off to an 11-1 start in the first 3 ½ minutes and never looked back. Duncan Robinson set the tone taking the opening tip in for a layup and followed that with a steal that ended with a dunk. 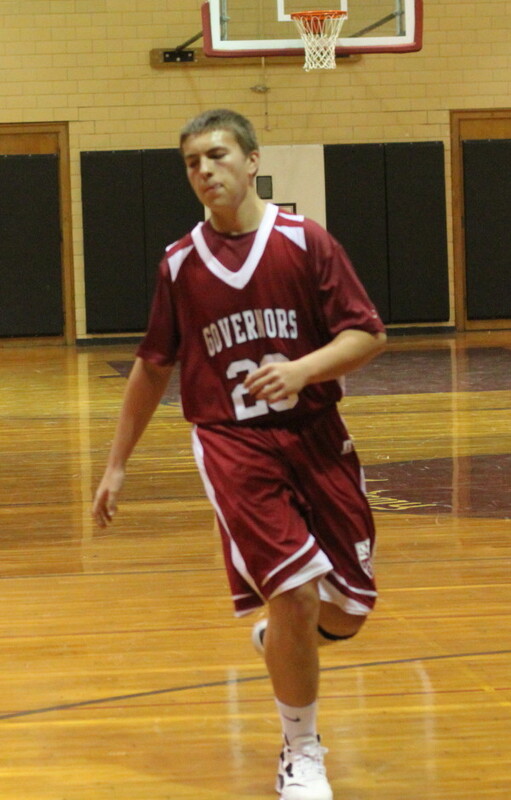 Max George (17 points) came off the bench to nail five triples. 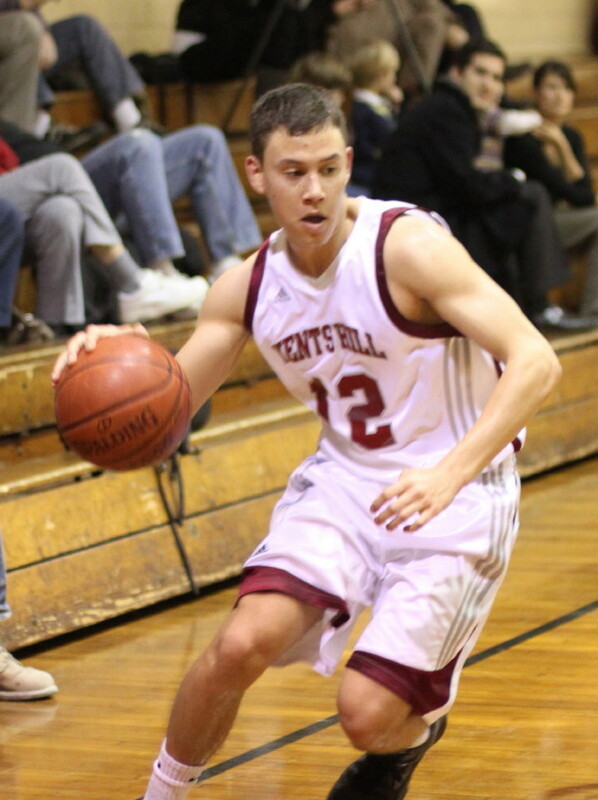 The lead stabilized to 19-8 with Eli Roberts getting all of KH’s points. The wheels fell off for the visitors over the next 1 ½ minutes as GA ran ten unanswered almost entirely on the inside – so much for a zone defending in close to the basket! That 29-8 spread was 38-19 at halftime. GA coach Mike Williams had substituted quickly and liberally in the first half. He returned the starters to the floor at the outset of the second half and we were treated to The Duncan Robinson Show. Duncan put together a twelve point run by himself and was assisted on four of the five baskets he made. We saw two layups, a tip in, a dunk, and a triple. Quite the show! That “show” extended the GA lead to, 50-23, with nearly eleven minutes left. But there was more. 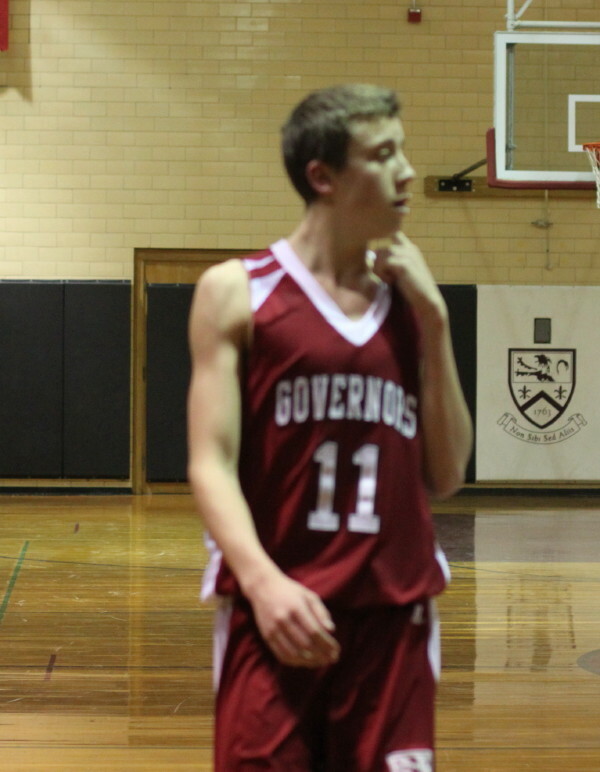 After baskets by O’Shea Bell and Eli Roberts, the Gov put together a 14-1 segment in three minutes. Duncan had three 3’s during this burst and assisted on Kam Nobles triple. So now it was 64-28 with nearly nine minutes left. All reserves the rest of the way to the 82-40 end. The lighting at Governor’s continues to be a mystery to this amateur photographer. 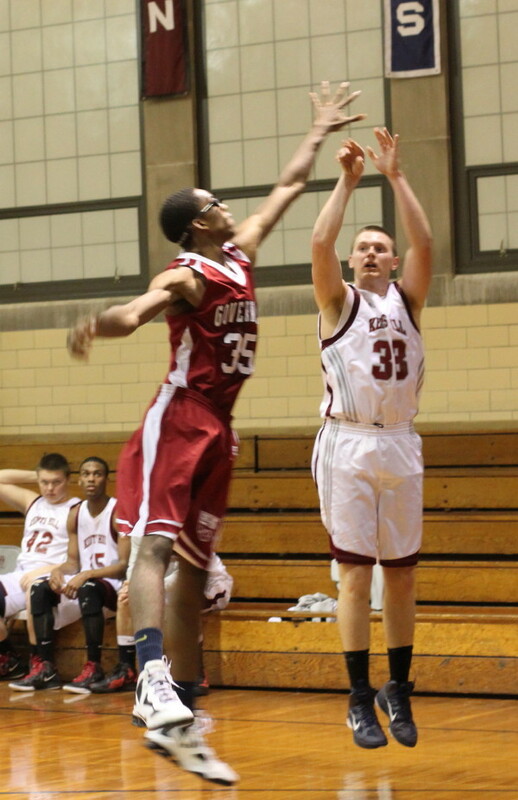 Stationary shots…..not so bad. Action shots……work in progress. I’m quite sure that brighter lights in that place would help. The number of wide open looks amazed me. I saw the GA/Andover game and the only open shots were in warm-ups!